This long full day safari gives you memorable moments both at winter dusk or in the bright spring sunlight. 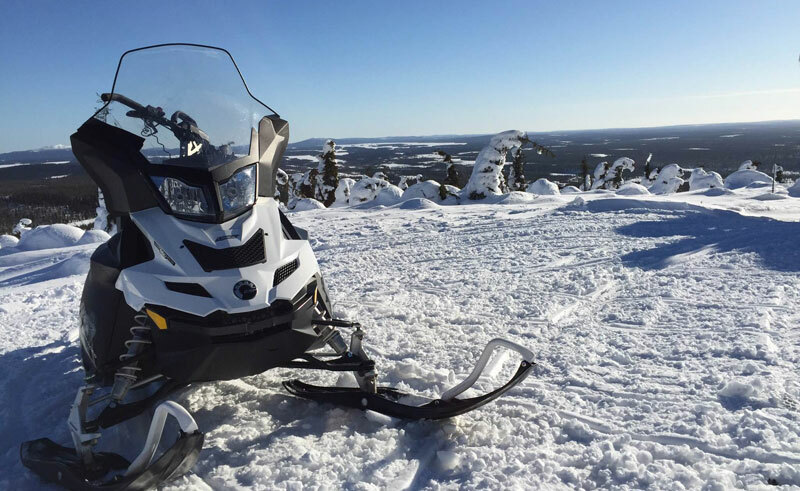 After safety information and instructions on how to drive the snowmobiles, you head to the trails taking you through the vast areas of Kuusamo wilderness all the way to the Russian border and on top of Kuntivaara fell, from where you can see across to Russia. This safari suits best drivers who already have some experience in snowmobiling. The driving distance is 120km. Lunch is served midway in a cosy wilderness cabin by the eastern border. Winter clothing is provided.